We're well into spring and a lot of us have already hung up our ski gear for the season. But if you've already written off winter 2018-19, you just might be missing out on the best part! As proven by last week's snowfall, skiing conditions are often well decent until at least late April, if not May in some cases. And as a general rule, spring skiing brings out the happy-go-lucky skier in all of us, that person who is content to wake up early, do a dozen laps of the slopes and then head to a terrace to sip a drink when the snow starts getting soft. Doesn't sound half bad, does it? Here are 7 reasons to go spring skiing this year. Skiing in a blizzard is great and all, but it's hard to resist the beauty of a nice day in the Alps. Views of the mountain peaks as far as the eyes can see and no snow pelting your cheeks, now that's what we call a ski holiday! Blue skies and still lots of powder - not so shabby for a spring skiing holiday! 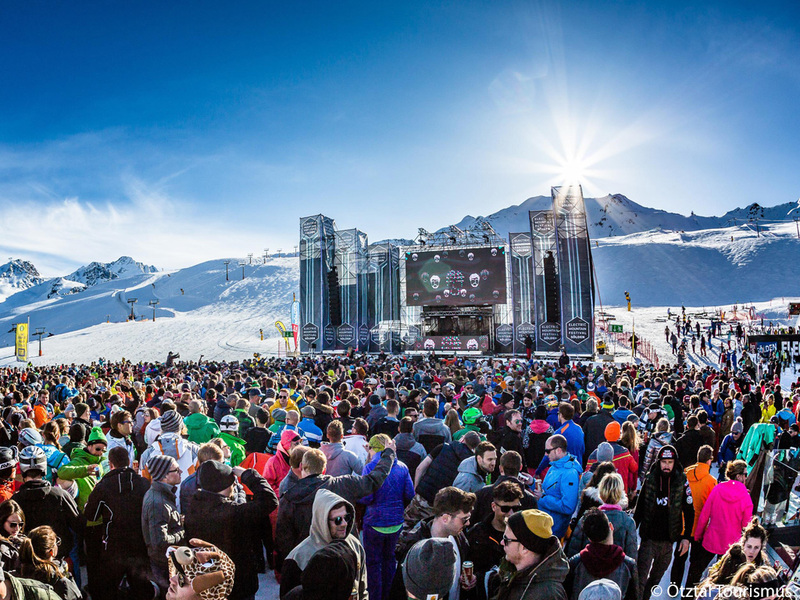 The spring is chock-full of events to celebrate the end of ski season. The White Pearl Mountain Days at the Skicircus Saalbach Hinterglemm Leogang Fieberbrunn are an exultant celebration of all things spring, while other ski resorts put on amazing music festivals like the Electronic Mountain Festival at Sölden-Hochsölden or the Top of the Mountain concerts at Ischgl. Along with the sun comes the promise of being able to comfortably sit outside and enjoy your lunch (or your mid-morning pick-me-up) on a sunny alpine terrace. There are loads of slopeside terraces strategically placed throughout ski resorts in the Alps so take your pick, drape your jacket over the back of the chair and enjoy the warm sun on your face! Drink on the terrace, anyone? 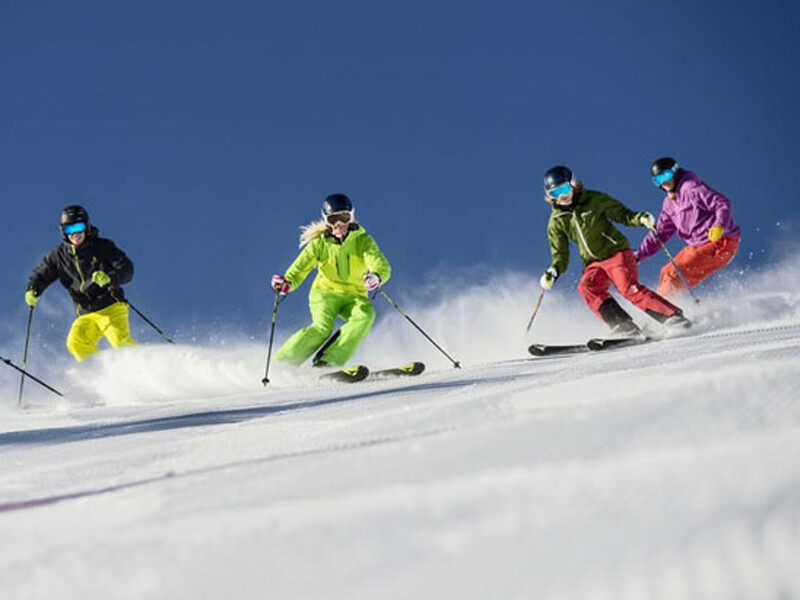 A spring ski holiday tends to be one of those holidays where you could almost leave your ski jacket at home (well, obviously apart from freak snowfalls like the one last week!). It's not uncommon to see people skiing in t-shirts and sunglasses instead of the billions of layers we usually have to don in order not to freeze in the high Alps. Incidentally, this is a great time to introduce your kids or friends to skiing - it's easier to take to the sport when it's not snowing sideways! Since many people don't have holidays anymore and if they do, they're already in beach mode, ski resorts are falling over themselves to offer deals at the end of the ski season to entice visitors to their resorts. Take advantage of their desperation and book a late-season holiday without breaking the bank! If you DO book a late-season holiday, you'll be one of the few who do. In all likelihood, you'll be able to enjoy the resort to yourself: fresh tracks on empty pistes, nonexistent lift queues and your pick of sun loungers at the mountain restaurants. Who said spring skiing conditions were inferior? It's spring, which means this is your last chance to get in a ski holiday before the regular ski season ends (unless you fancy trying glacier skiing). You know the summer is going to be one long torture session just crying nostalgically over the photos of the last winter's ski holidays, so why not prolong the good times a little bit by taking one more little jaunt to the Alps? 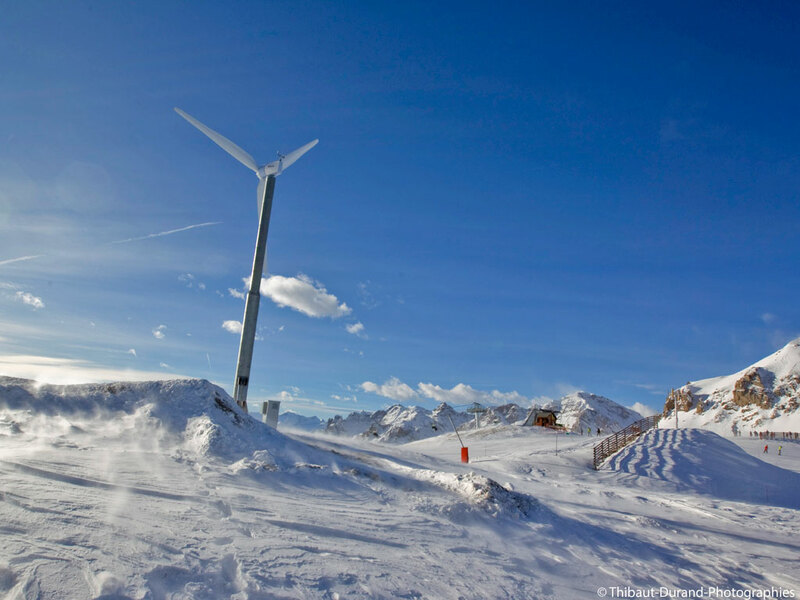 Serre Chevalier: The first-ever 100% sustainable ski resort?